When you want to try other marketing or advertising tools for your business, you need to think about what will cover a higher portion of your target population but still fits within your budget. Aside from flyers, brochures, catalogs, etc. using a rack card to spread information about your brand is still a cost-effective option. 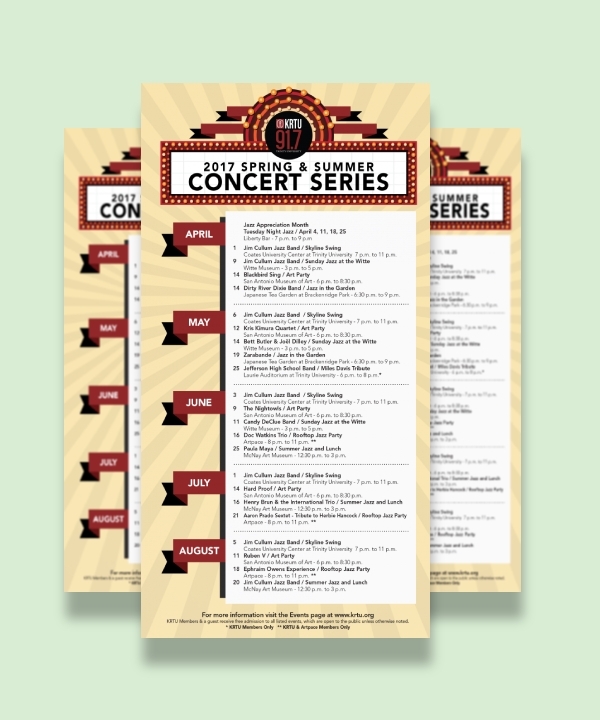 A rack card is essentially a card specifically designed to fit dimensions of a display rack to immediately capture the audience’s attention. 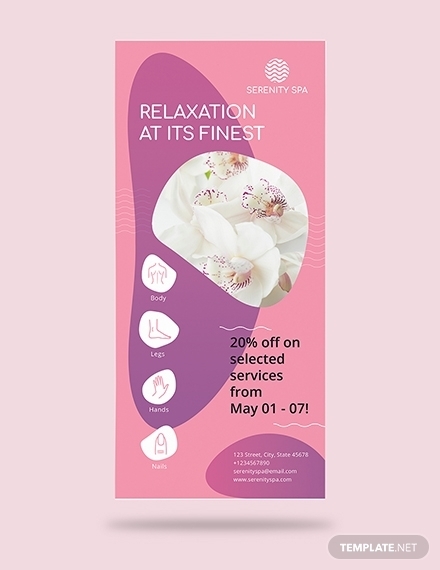 What better way to establish your hair salon than distributing rack cards to stores, rest areas, landmarks, etc. within or outside your area. It will surely help in grabbing the attention of interested clients since essential information about your shop is provided within the card. Use this template to help you easily produce a high-quality layout for your own hair salon rack card. 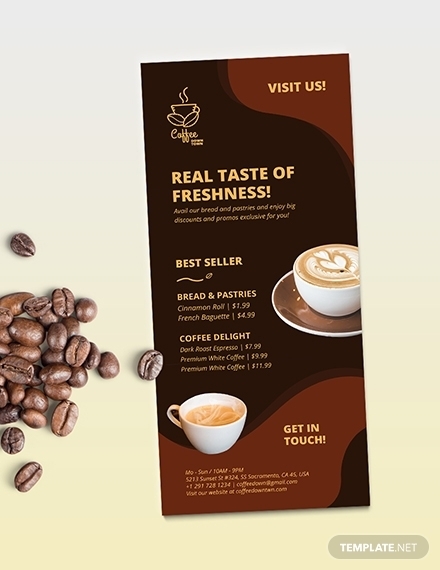 Entice customers with the help of this well-designed coffee shop advertisement rack card template. 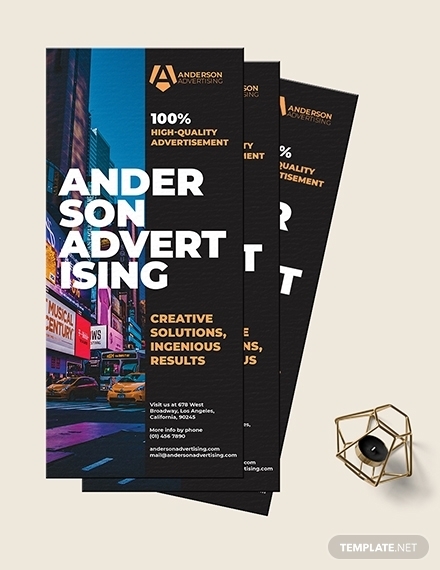 The high-quality images, structured design, original artworks, unique fonts, and so much more will immediately capture the interest of your target customers. Download and customize this template to fit your preference and brand identity. Customers will surely appreciate the effort to inform them of what you have to offer ahead of time. 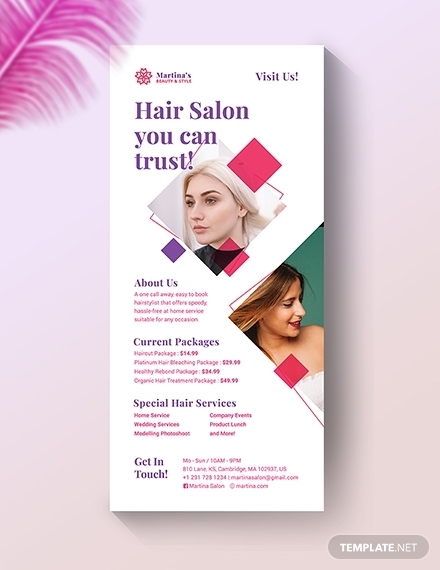 With this nail salon rack card template, you can provide all the necessary information about your shop in a stylish way. This template will allow you to use high-quality images, good design and illustrations, original font, and so on. This is available in Adobe Illustrator and Photoshop, MS Word and Publisher, and Apple Pages format. As a marketing company, you are expected to produce good quality marketing materials to help your own business. 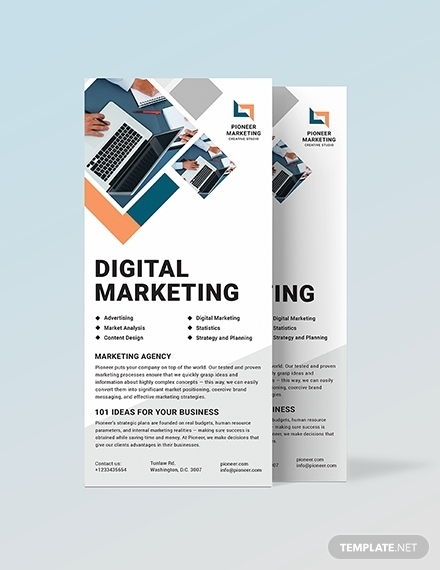 To help make it easier for you, here is a digital marketing agency rack card template that you can download for free. 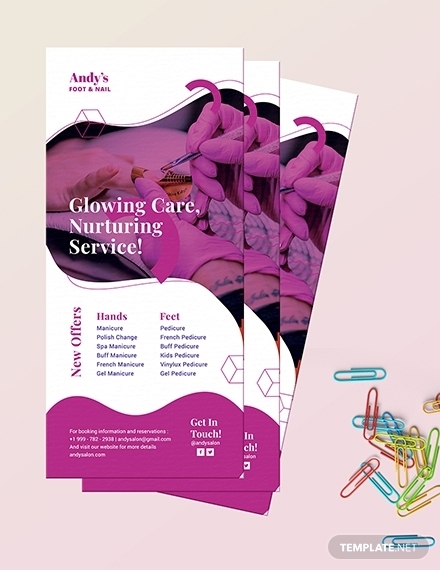 Using this template will allow you to get an easy head start in creating an impressive rack card to promote your business. With the number of catering businesses as competitors, you need to find a creative way to stand out. 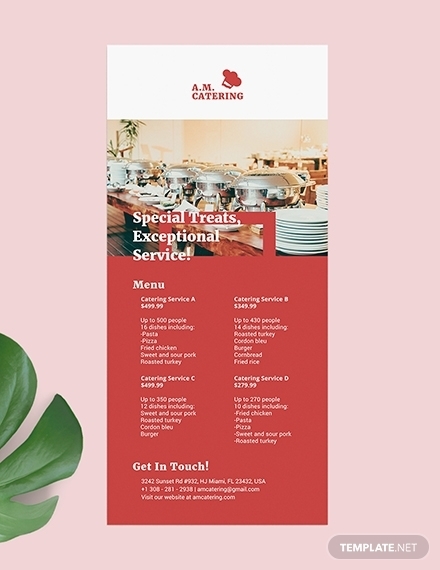 One way for to pave your own way to fame is through this greatly designed catering menu rack card template. This template will help you effectively boast your scrumptious but economical menu to your target clients. You can customize this template to include additional designs, information, etc. that you prefer. 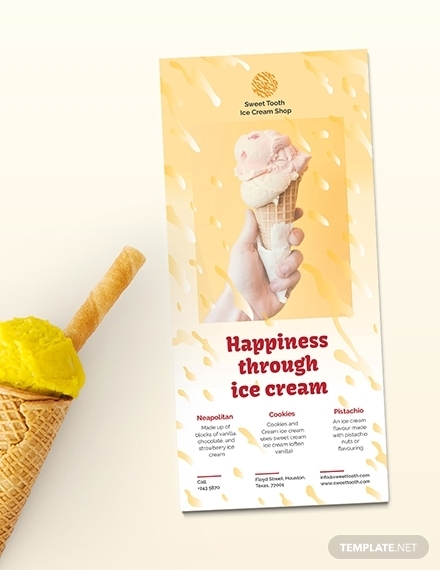 People with sweet teeth will surely love this ice cream shop rack card template. Encourage them to check out what you have to offer with the high-quality images, well-structured design, and pertinent information about your shop that you can provide in this template. This is editable in Adobe Illustrator and Photoshop, MS Word and Publisher, and Apple Pages. 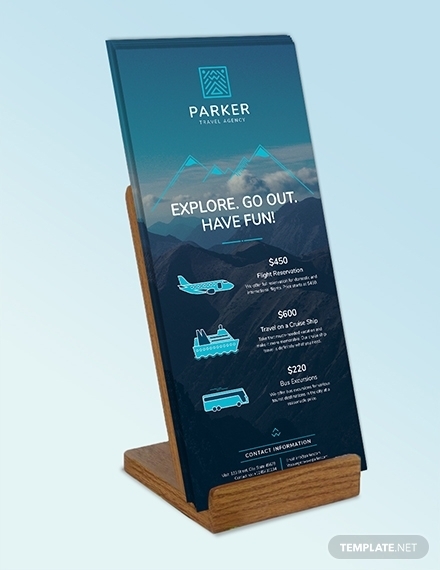 Although hotel brochures and flyers do a good job in promoting your hotel business, you can amp up your marketing efforts with a rack card. 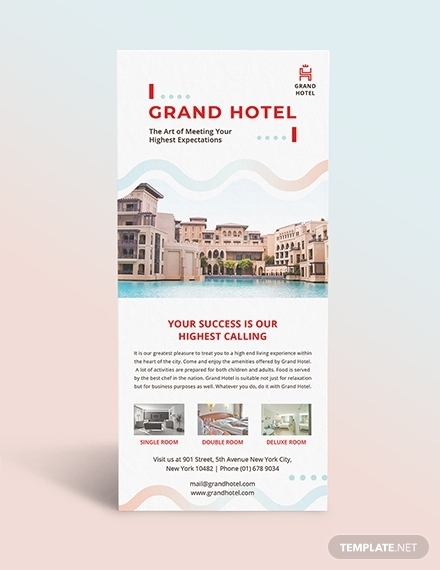 You will not be ashamed to have this grand hotel rack card template represent your brand when displayed in other business establishments since it features a clean layout, impressive layout, and so many more. Download and customize this template to incorporate your brand identity. Talk about sleek! This travel agency rack card template includes necessary information about what you offer without sacrificing the quality of the design. And you can freely use this template to promote your business as well. Download this template and easily edit to include all your important details. Make your clients immediately feel the relaxing vibe of your spa house with the serene design of this spa rack card template. 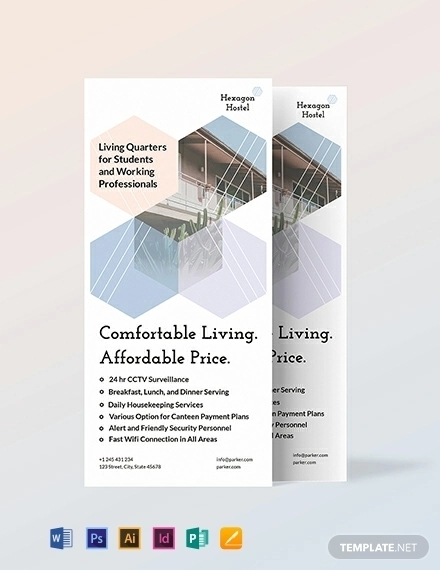 The unique layout of this template will not take away the vibe that you want to convey to your clients. It will also still allow you to include as many details that you want without giving that overwhelming feeling. The number of wedding planners has dynamically gone up as the years have passed. With this, you need to find impressive ways to stand out. 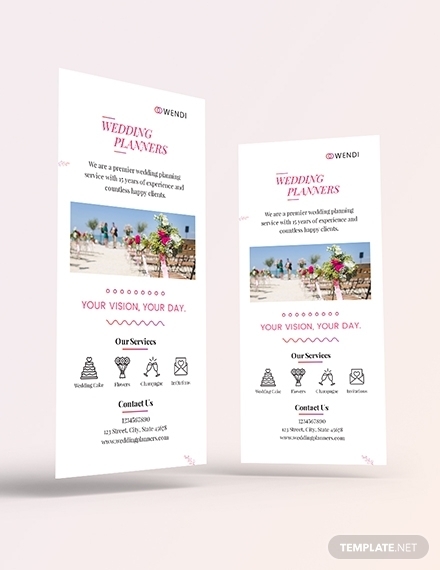 Use this wedding planner rack card template to set a good first impression especially with its cute illustrations, creative layout, and overall attention-grabbing design. Plus, this template is totally customizable to ensure you can incorporate your own brand. Step with your best foot forward with this modern advertising agency rack card template. You can immediately impress your clients with the trendy design and layout of this rack card. But more than just the design, this will also allow you to emphasize important details about your business. Download and edit this template in Adobe Illustrator, InDesign and Photoshop, MS Word and Publisher, and Apple Pages to make sure your brand identity is prioritized. 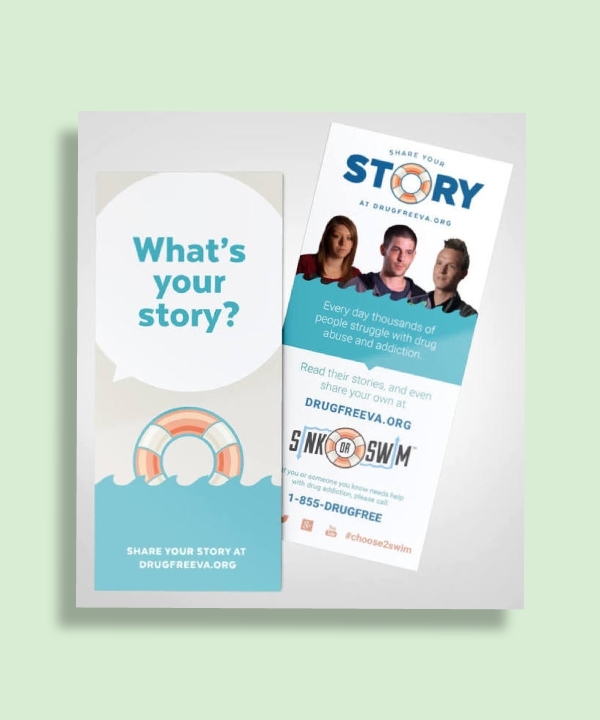 Take inspiration with how this rack card made its drive to spread awareness about drug abuse personal with the use of images from actual volunteers. The question you read at the front also prompts you to share your story, which is the main focus of the program. The design and layout of this example hold a huge impact on its effectiveness. 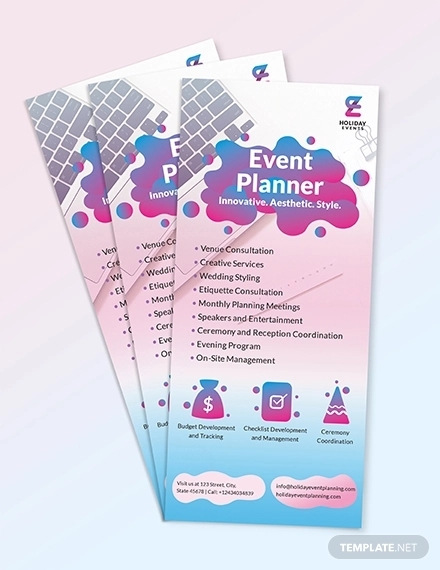 Like a program, but shorter and more comprehensive, this rack card has proved that you can provide as much information about an event without sacrificing the quality of the design. Its simple layout has made way for the emphasis of the details which in turn makes it more informative and effective. Spreading factual information should not be that difficult, and this rack card example has proven just that. 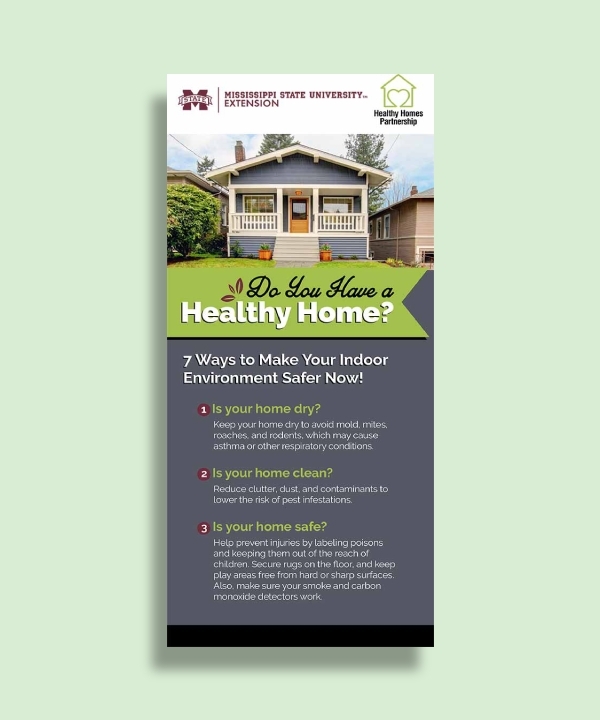 Through its uncomplicated layout, important information about how to make your home safer is effectively shared. The design was also specifically tailored to fit more information that way more facts and essential details can be provided. Spreading awareness about a timely issue should be made easily understandable to even the younger generation. In this rack card example, you can see how the appropriate use of icons symbolizing specific topics has helped in making a complicated subject easier to understand. And since you are spreading awareness, take inspiration with how this example is able to provide accurate statistics about the subject. 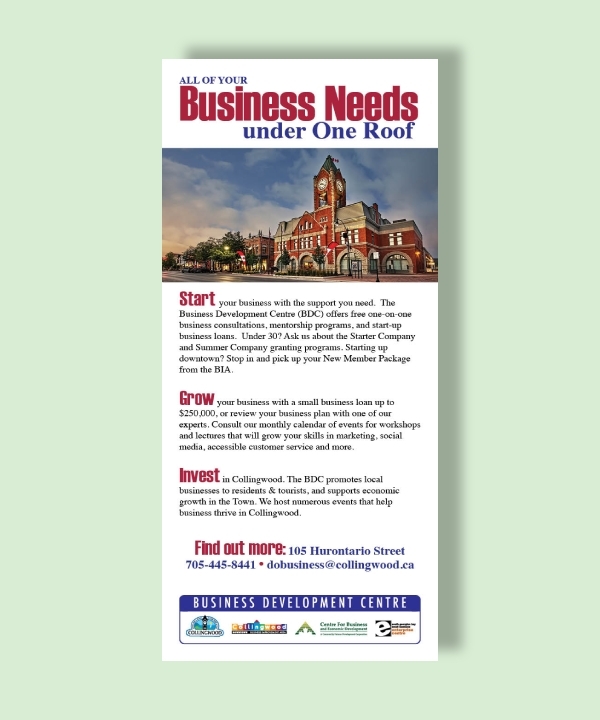 With how straightforward this rack card example has presented its pitch, it makes it easier to interest and encourage the people to check what the business has to offer. And the sufficient amount of details about the company also added to the credibility the business was trying to establish. 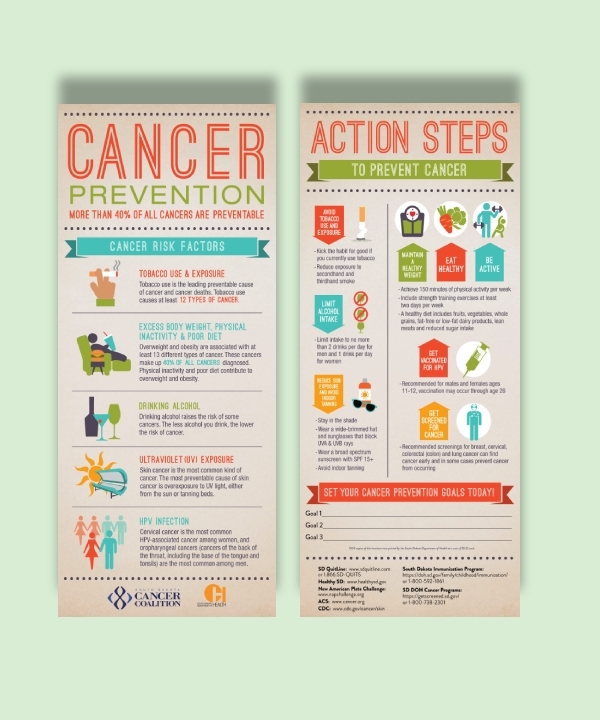 We hope you were able to find the template you were looking for with the variety of rack card templates we have provided in this article. May your rack card creation process be easier with the help of our well-designed templates.